Why Choose Diamond Mountain Rentals? We're Glad You Asked! 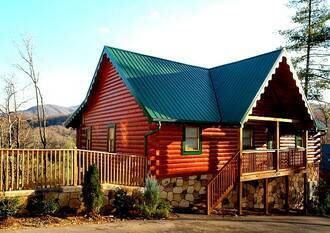 Plan a Girls Trip to One of Our Gatlinburg Cabins! Sometimes you need a weekend dedicated to the girls! What better way to unite your best girlfriends than a trip to the Smoky Mountains for some cabin fun? Gatlinburg is a great place to visit whether you’re with the family, with the girls or taking a romantic weekend with your loved one. In this blog, we will feature on the activities you can participate in as girls here in our Gatlinburg cabins! Invite your girlfriends, take a head count and hit the road! Cabins are great for groups visiting the area because they are so accommodating. Multiple bedrooms, a well-equipped kitchen, television, internet and a hot tub. Does this all sound like the perfect place to host a girls weekend? Leave the husbands at home and bring the essentials! Bring the margarita mix, your favorite playlist and some pampering items for a weekend full of laughs, memories and quality time with your best friends. View all of our cabins here! Free Smoky Mountain Moonshine Tastings! For more girls weekend information, visit Gatlinburg’s page! This is only a short list of the wonderful things to do on your upcoming girls weekend in Gatlinburg! Our cabins are only a short drive from downtown Gatlinburg so you and your girlfriends will be near all the action! What are you waiting for? Pack the nail polish, bring the wine and enjoy a weekend with the best friends a girl could ask for. Ripley’s Has Your Family Covered - Enjoy All the Fun in Gatlinburg this Spring! Why Visit the Smokies in the Spring? Here are 5 Great Reasons!